Every day more people are getting into the eCommerce business space hoping to make their dreams come true. A good theme with an optimal design is a necessity to align your thoughts and aspirations with the site. Fortunately, WordPress has an abundant number of themes that will help you with store design, whatever be your business idea. And if your store is running on WooCommerce, you need a seamless integration with the platform and its extensions. There are numerous premium themes that you can purchase, but if you are starting out small, you may not need them right away. This article presents a list of latest WordPress WooCommerce themes that you can try out this holiday season. A lot of them has Christmas inspired design that would set the mood right for festive sales. If you are planning to give an image makeover to your site this Christmas season, you may want to try out some of these themes. 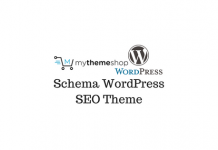 This one is based on underscores starter theme and offers perfect integration with WooCommerce. It specifically targets holiday sales with its Christmas inspired design and color tone. It has live customizer to help you preview any changes before going live. In addition, a multitude of layout options is going to help you experiment to your heart’s content. It also features a responsive design that ensures the best experience for your customers irrespective of the device they use. 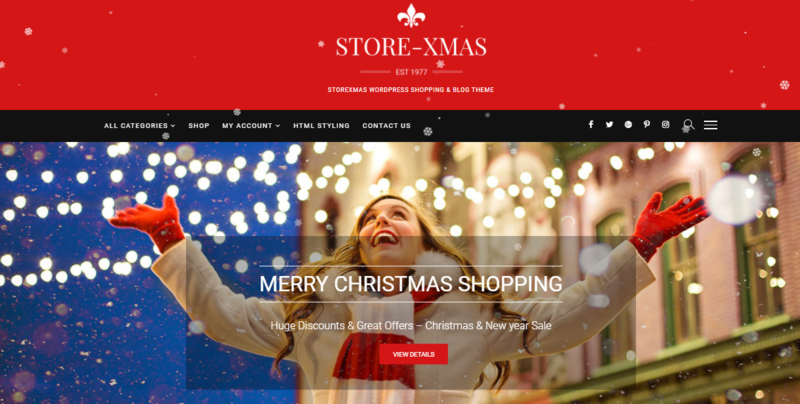 The Christmas inspired color tone and design would set your customers in the right mood to splurge on your WooCommerce store. 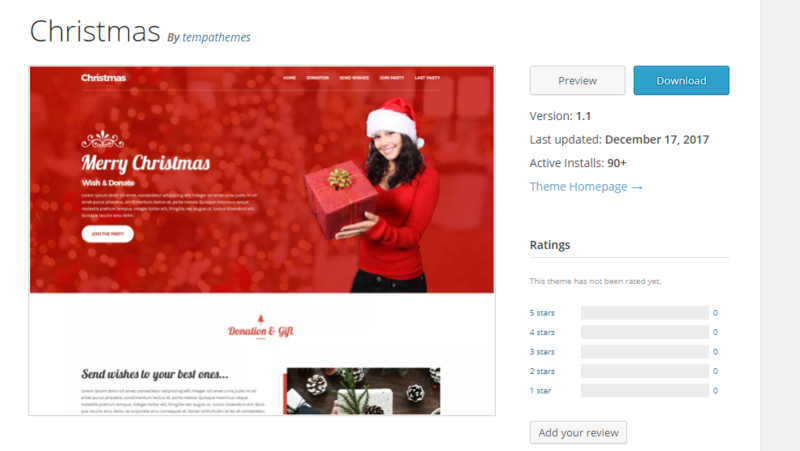 This is a clean, responsive theme that brings in the festive mood to your WooCommerce store this holiday season. 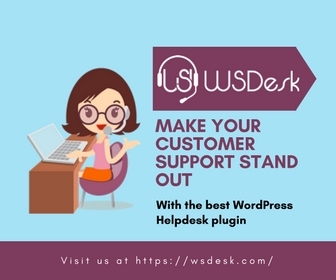 It ensures a seamless integration and any popular plugins that you use on your sites such as MailChimp or Contact Form. Moreover, the theme emphasizes customization capabilities, and you can easily modify the theme options without advanced coding knowledge. Some of the welcome features of this plugin include slider for featured products, custom widgets, SEO, Adsense, etc. The pro version has advanced features like YouTube widget, preloader, and multiple social media options. A clean, flexible and responsive theme, Xmas Biz manages to keep the Christmas spirit alive. This one is specially crafted for holidays like Christmas and offers a responsive design for your WooCommerce store. It is highly adaptable to single and multi-page layouts. More importantly, it offers fast and intuitive customization options. 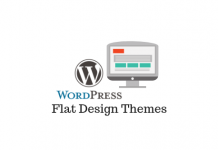 The theme is translation ready and compatible with the latest version of WordPress and the many plugins. When we tested, the Christmas color tone didn’t look perfect, as some of the buttons were still ‘Woo purple’. Please see how you like it before finalizing on this. The theme promises fast and intuitive customization options and a holiday-friendly design. Festive is another multipurpose WordPress theme that has plenty of features to help you customize the look and feel of your site. The primary attraction of this one is the large number of layouts and color options that you can try out. You can choose the default slider that comes out of the box with the theme. And, if you prefer using any of the third party sliders, you have the freedom to do so as well. It integrates well with WooCommerce and will be compatible with any of the other popular WordPress plugins. The theme is fully responsive and your customers won’t have any hassles in switching from laptop to mobile or tablet. Also, it comes with a drag-and-drop page builder that helps you create great looking pages. Festive is a great theme that offers perfect integration with WooCommerce with great customization options. This theme comes with a variety of features that helps you set up a professional looking eCommerce store. It is fully customizable and comes with a range of custom headers and banners. 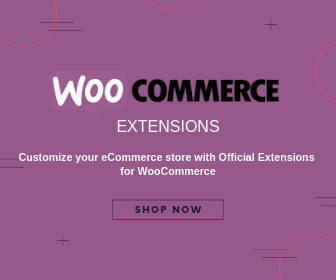 The theme promises a seamless integration with WooCommerce and is compatible with most extensions such as wishlist plugins. And, it’s SEO friendly and ensures good page loading speed, which is crucial for any eCommerce store. This is a simple, clean and responsive theme you can try on your WooCommerce store this holiday season. This one is an elegant holiday based theme that would help you bring in the festive mood effortlessly. An added advantage would be the simple customization options that would help you modify your store at will. It is a neat option that you can try to give that Christmas vibe to your store. In addition, it focuses on eCommerce pretty well too, with widgets, multiple navigation menus, social media integration, log, color options, etc. 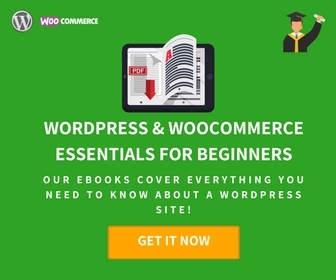 And, it is compatible with most of the plugins and extensions that a WooCommerce store owner would find useful. The theme is translation ready and offers free support as well. 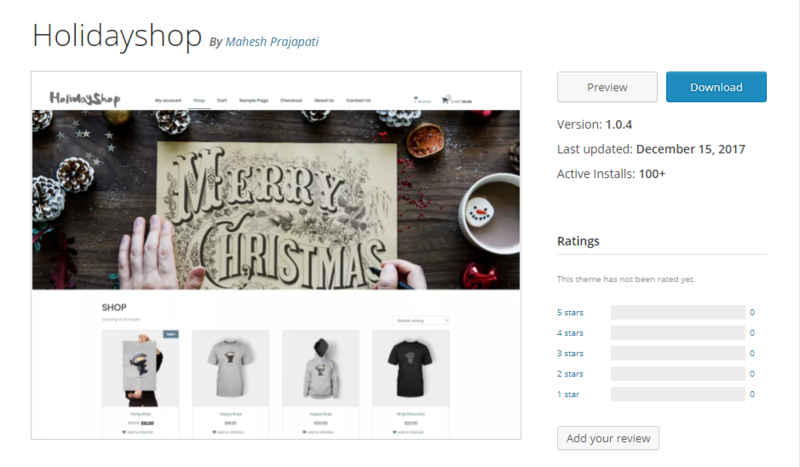 This is a beautiful theme to create the Christmas vibe on your WooCommerce store. This theme is fully compatible with WooCommerce and offers great support for online marketplaces. Irrespective of your business, you can use this one to set up a great looking website. The theme is quite easy to customize, as it doesn’t require any advanced code level knowledge. Also, it is SEO friendly, fully responsive, and makes sure the page loading time is good on your site. If you are looking for extensive design options for your WooCommerce marketplace, you should definitely check out this theme. You will find a great range of design options with this responsive theme. If you are featuring booking options on your WooCommerce store, you might want to try out this theme. It is powerful and responsive with great options to customize. 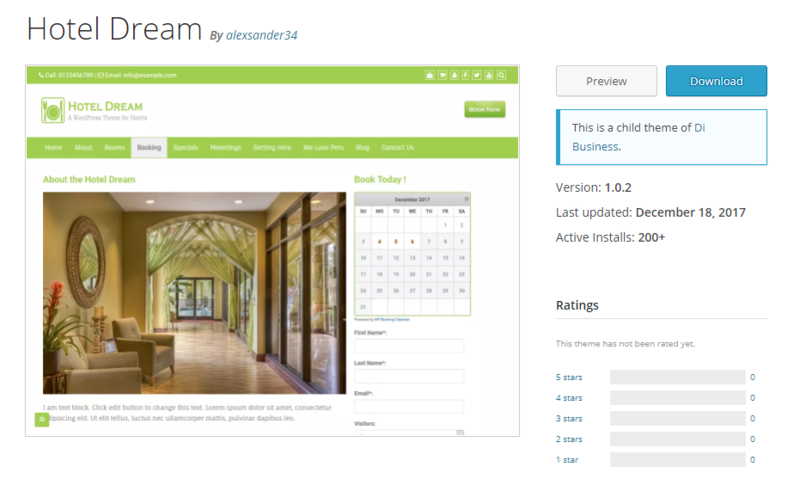 More importantly, it integrates well with any type of business that provides a booking feature. It manages this with the seamless integration with the booking calendar plugin. If you are running a WooCommerce store with booking options, this theme can be a good choice. Flexia offers perfect integration with WordPress eCommerce solutions like WooCommerce and Easy Digital Downloads. This theme is really lightweight and helps you customize the look and feel of the store without hassles. It also works smoothly with any WordPress page builder tools. 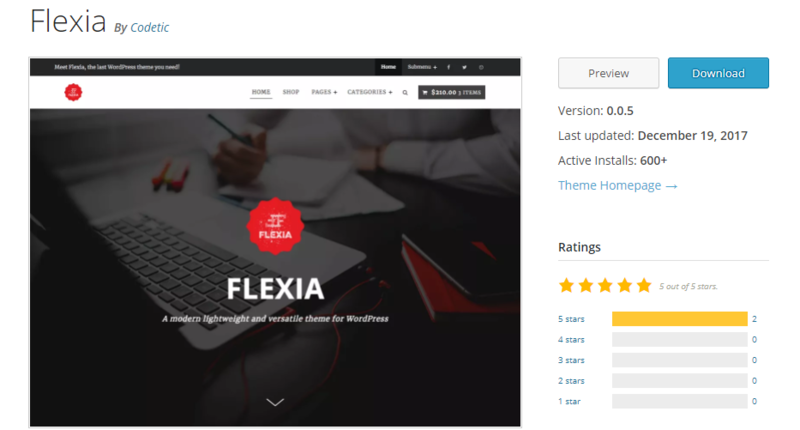 Flexia is a truly modern theme with contemporary design and great customization options. With a minimalist design and professional elements, this theme gives a modern outlook on your business site. It offers great features to help you personalize your site according to your design ideas. And, it integrates well with WooCommerce and other popular WordPress plugins. The minimalist look of this theme is well suited for business websites and you can also create elegant looking WooCommerce stores with it. Holiday time is a jolly good opportunity for store owners to boost sales. Often, you can try multiple strategies that will make your customers happy and motivate them to spend more. 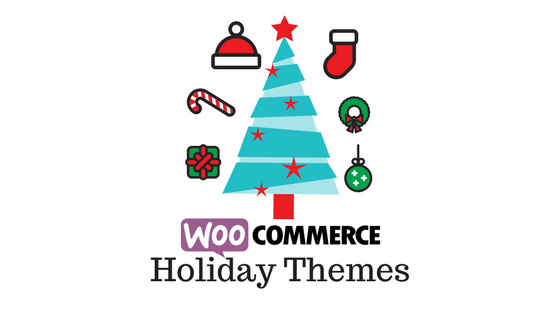 Here is a look at some of the best holiday strategies that you can try on your WooCommerce store. One of the most common expectations of customers during the holiday season is a good promotional offer. There are quite a large number of customers who wait for the holiday season to make their biggest purchases. So it is particularly important not to disappoint this huge customer base. There are some stores that offer a blanket discount on all their items. This can help you capitalize different sections of the customer base. There will be your existing customers who already know the value of your products. Then there are new customers who are experimenting your store because there is an offer going on. A blanket discount option can help you gain both kinds. However blanket discount is not everyone’s cup of tea. There are many more options to creatively establish a discount strategy. You should check out WooCommerce dynamic pricing plugins if you are planning to set up ‘buy one get one’ or bulk discounts. And, if user-specific prices are what you are looking for, this plugin might help. You may have devised awesome promotional campaigns for the holiday season. But, if not adequately endorsed with a strong visual identity, your audience might not even recognize those. And, when you share the campaign creatives on multiple channels, your audience will start relating to it easily. Try to incorporate the holiday theme on all your customer engagement initiatives. In addition, maybe, your site can get a makeover by using one of the themes mentioned above. Let’s look at some specific strategies to create a visual identity. Your site will find visitors from all the different campaigns that you are running. They all know there is a promotional offer going on. But what about the visitors who come directly? A storewide notice is the best solution to deal with this. You can create an eye-catching banner along with some compelling copy. Direct visitors will be instantly interested in the offer that is going on. Give a holiday makeover to your entire site or at least to the homepage. This would help visitors to instantly understand that there is a promotion going on in your store. However, if you are only incorporating specific elements in your site design, you may need to do thorough testing in the staging phase. In addition, you have to make sure there is no trouble with the responsiveness of the store. 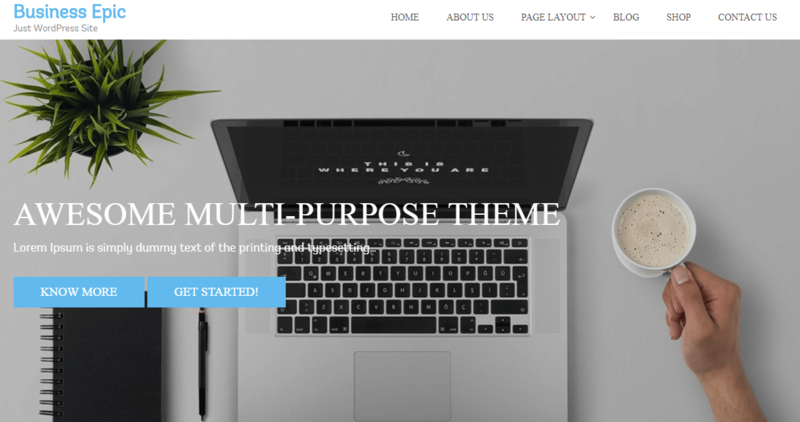 If you are looking for a complete makeover for a temporary period, you can try out some of the free themes mentioned above. A dedicated page for offers would be the best way to improve conversions during holidays. Multiple studies have pointed out the effectiveness of custom landing pages in attracting and converting visitors. In fact, this is more sensible compared to driving traffic to the homepage and then expecting users to find what they want. You can easily create a landing page featuring a list of your top selling products. You have created an interesting campaign and made your site visually ready. Now, you need to look at ways to drive traffic to your homepage or custom landing page. How will you do this? There are multiple ways to do this. Let’s see some of them. As eCommerce wisdom suggests, it is your existing customers who will bring in more revenue to your store. The best way to tap into your existing customer base is by leveraging emails. WooCommerce offers awesome email marketing integrations you can try out. However, an important aspect of sales alert emails would be the timing. You want to time it strategically so that your customers are aware of an upcoming sale and plan their purchase. If this is not done promptly, you might be disappointing some customers who ended up purchasing at a full price close to the offer. You can combine your email strategy with social media to get a good reach on your marketing campaigns. Particularly around holiday period, you can use the paid promotions like boosting a Facebook post. However, one tricky aspect of social media publicity is that you might need to dedicate some time to answer customer queries on social media. If customer queries are not responded to properly on social media, you might be losing out on important leads. The holiday campaign is going to drive huge traffic to your site. You need to make sure that every aspect of your store is prepared to face that. The most important aspect here is the stability of your site. Without fail, you need to ensure that there won’t be any downtime by speaking to your hosting service provider. Any coding changes done for the campaign too should be tested in a staging environment before going live. And more importantly, alert and prepare your team for the increase in workload. The holiday season is really a busy time for all types of businesses. Online stores can easily capitalize on the general spending mood of the public. We have discussed some of the best holiday strategies that you can try on your WooCommerce store to boost sales. Giving a temporary makeover to your site is one of the strategies advised by experts. 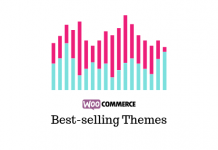 To help you with that we have presented to you some of the latest WordPress WooCommerce themes that you can check out. Share with us a unique sales strategy that you tried during the holiday season.